Stockland’s Altrove masterplaned community is one of many taking advantage of thriving demand for land in Sydney's north-western corridor. Stockland announced recently that the first stage of the project had sold out within hours of being released for sale. 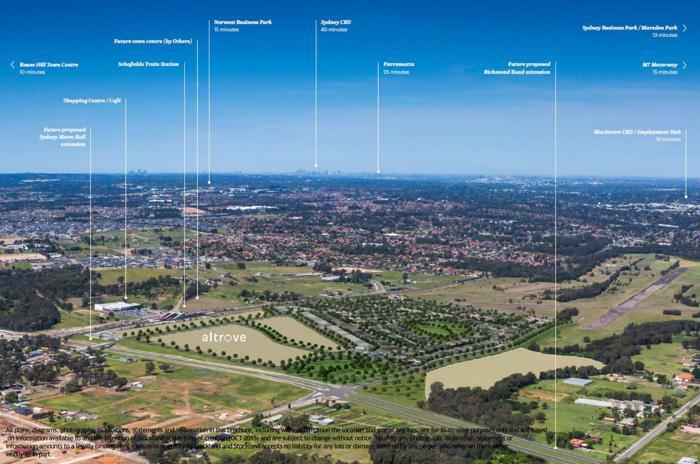 Two additional land releases have been fast-tracked to satisfy the demand for home sites at Altrove, which is directly opposite the Schofields Train Station and just 53 minutes from Sydney’s CBD. Altrove is Stockland’s first true mixed-use development in Australia, with plans for the 50-hectare site including freestanding homes, terraces, apartments, retirement living and a retail centre. The community will cater to homebuyers of all budgets and lifestyles, from first home buyers to growing families and those wishing to downsize. Among the wide range of home sites released for sale last month were 320 square metre lots priced from $419,000, 400 square metre lots from $499,000 and 450 square metre lots from $525,000.